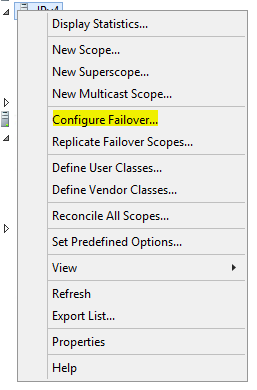 Recently needed to migrate an existing 2008 DHCP server to two new Server 2012R2 DHCP servers with Failover enabled. Thankfully, this is a very straightforward process! Note: If the C:\dhcp\backup\ path doesn’t exist you will need to re-run the command or create it first. Specify “Hot standby” and specify your reservervation for standby server(this can generally be fairly low as clients will hold their lease for awhile.). 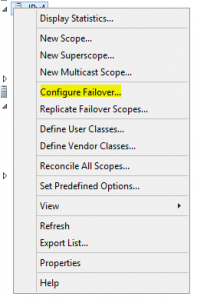 Specify a State Switchover Interval if you want your server to automatically failover after a period of disruption on the primary server. 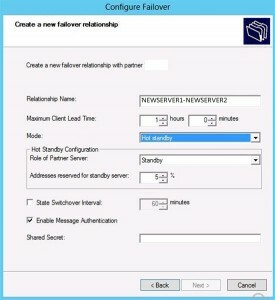 Finally enable a Message Authentication Shared Secret if desired between the servers. Quite often we will have a requirement for migrating DHCP between servers. 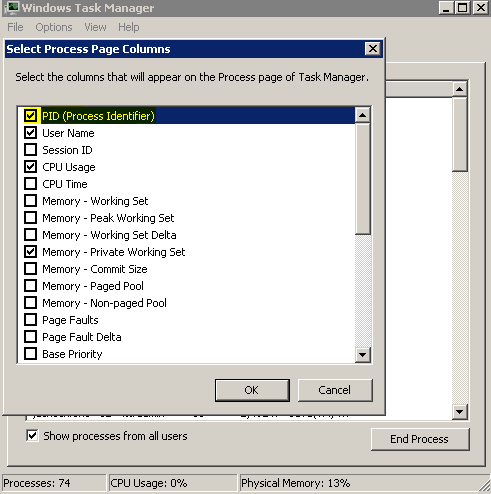 The process is very straightforward with 2008 & later servers. First, install the DHCP Role onto your destination server if it’s not there already. I find it easier to install this with PowerShell as opposed to Add Features as you don’t get all the prompts for setting scopes, etc. 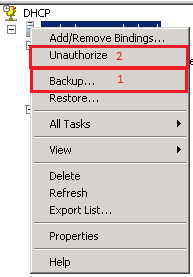 Next on your source server, right-click on your server and select “Backup”. Save the backup file to a shared location. 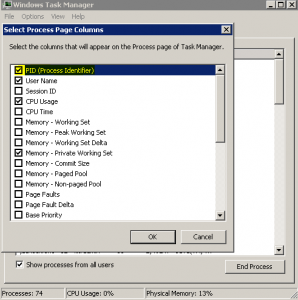 Next select “Unauthorize” – this will allow you to authorize the migrated server. 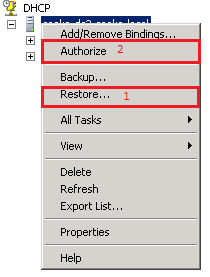 Next, right-click on your new server and select “Restore”, select the backup file from your shared location and import. Right-click on the new server and select “Authorize” and the server will now be ready to use. We recently had an alert come through regarding one of our customer’s data drives running out of space. I logged into to vCenter and extended the VM guest’s data drive, logged into Windows, ran DiskPart, selected the volume & extended it. This is generally my preferred method as more often than not it doesn’t show the space in Windows Explorer when the same process is ran from Disk Management. 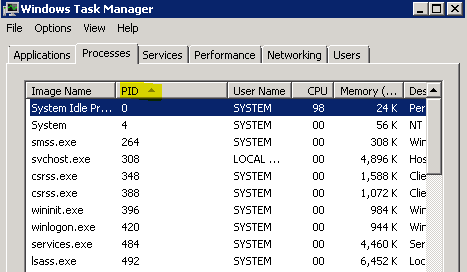 The extend showed that it completed successfully and all the available space showed up in Disk Management. However it still wasn’t showing in Windows, even after a restart of the server. Next thing I ran was extend filesystem on the selected volume. This came back with the following error: DiskPart has encountered an error: The device does not recognize the command. See the System Event Log for more information. Researched the issue further and noticed that the Volume Shadow Copy Service was started, although there were not any scheduled Shadow Copies or Shadow Protect backups currently running. Stopped the service and re-ran the extend in Diskpart – this time it completed with no errors and the correct space was then shown in Windows.